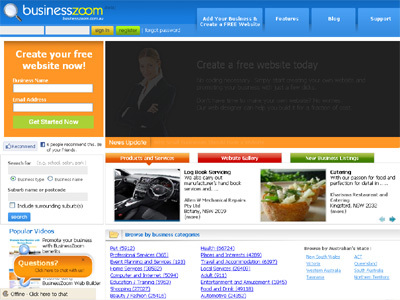 Free Online Business Directory, Website Builder and Hosting Services that help small businesses stand out on the web. Professional business websites can be created and finished in 15 minutes. A great solution to promote businesses at no cost. The first one in Australia that combines the power of web builder, hosting and business promotion to help businesses to grow, drive traffic and more!